We’re definitely still dealing with the stress of house hunting. I thought I’d share some of the tools that have helped us along the way (in addition to our Realtor and loan officer, who have been awesome). One of the graphs on the “How Much Can I Borrow” calculator. This nifty interactive resource calculates your debt-to-income ratio in order to estimate how much you can borrow for your mortgage. It was really accurate for us – after I realized that cell phone bills and the like do not count as debt. It’s one thing to figure out what the bank will loan you, it’s entirely different to figure out what you can afford. That’s why we used this calculator. It factors interest, property tax, home insurance, and mortgage insurance into your monthly payment. Your loan officer can verify these numbers. They’ve been pretty accurate for us! These housing search engines allow you to browse through listings according to your criteria. They are helpful to get an idea of what you’re looking for in a house and to see what is available in your intended price range. There are some limitations with these resources. A lot of the listings are old and some are off the market by the time you see them. Also, neither of these sites are a comprehensive list of available houses. Once you begin working with a Realtor, you will have a much more inclusive list of options. Looking at houses makes me anxious to be done with apartment living. Apartment therapy (along with my own 5 Ways to Thrive in an Apartment) helps me stay sane in my rented space. Do you have any house-hunting resources? Riel and I are approaching our second year of apartment living. 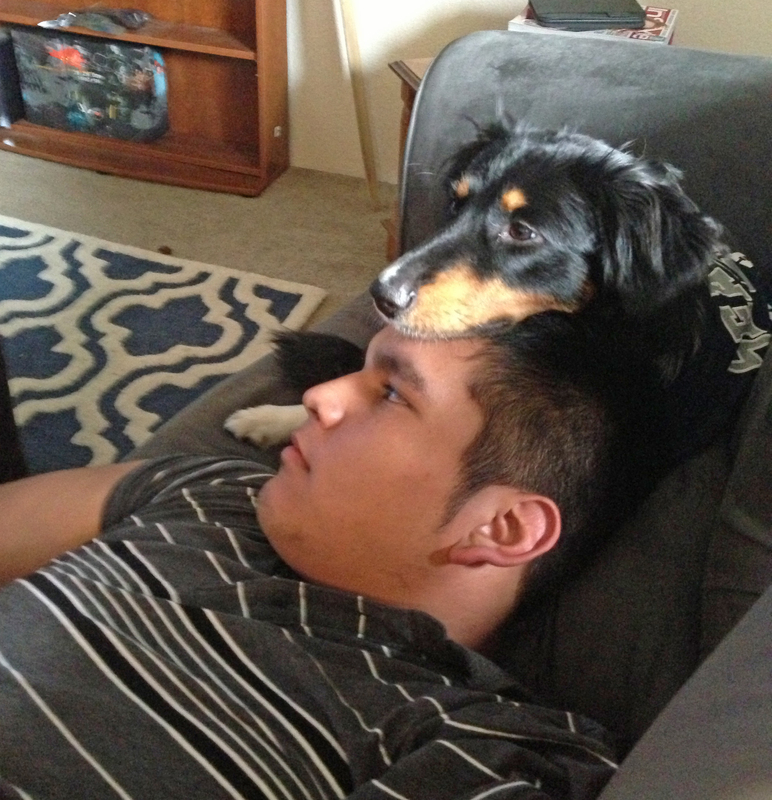 (Check out our first apartment and some ways we make apartment living work for us). We are looking into investing in real estate instead of throwing money at a rental. Can we cope with busy streets? Ack! I can barely keep it all straight. Luckily, we don’t need to move right away. Our apartment only requires a month’s notice, so we can wait if need be. All this is in addition to our other March madness (read about it here). Along with our second year of apartment living, we are reaching our second wedding anniversary. It’s been an adventure and I don’t regret a moment! We’re flying to NYC in a few weeks to celebrate. That’s a bit stressful too, but not all stress is bad stress. We’re excited about how well it’s turning out. It’s almost impossible to tell Godzilla-puppy tore off part of the wall. We can’t wait to have a house with a yard so she can put that energy to good use! What’s your best house-hunting advice? 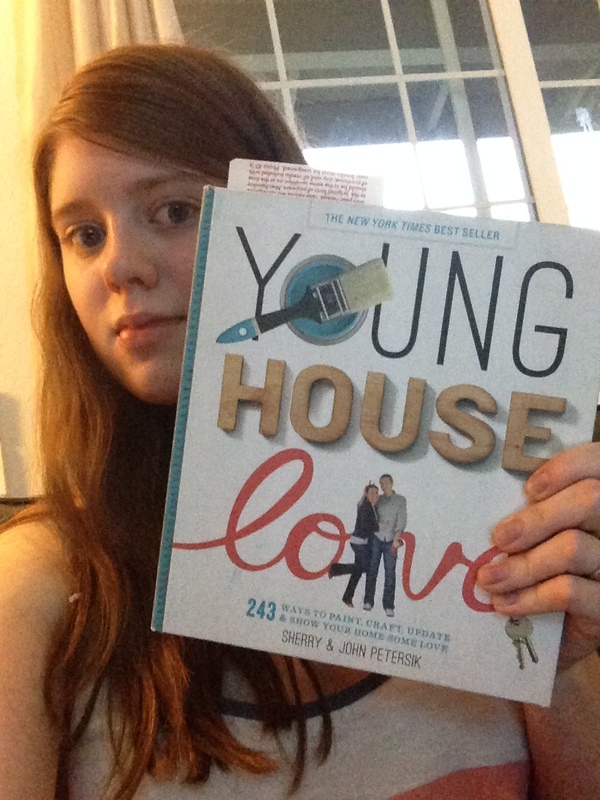 A few weeks ago while on a girls’ weekend, I picked up Young House Love at Powell’s Books. I already discovered Young House Love, the blog, so I was excited to find a compilation of their DIY projects in hard copy. Being able to hold a book and flip through pictures is much more inspirational (and relaxing) than browsing around a blog. Get the book through some of their affiliate links: here. (1) There are stunning pictures and diagrams to help the reader understand the instructions. (2) Almost all of the projects are simple and realistic – even for non-expert DIYers like me. (3) I can tell the book was written by humans, not a panel of editors. It features an entertaining perspective from Sherry & John Petersik who describe their mishaps and adventures throughout the process of improving their décor. Though the book came out in 2012, the ideas still seem fresh and relevant. Ideas range from simple and quick (re-hanging your shower curtain at ceiling height to make the room feel larger, p. 140) to more advanced (making a rustic-looking wooden headboard, p. 118). A lot of the ideas can be easily adapted to apartment life – a must-have for us! For some great DIY ideas, check out their blog: Young House Love. Where do you get your DIY inspiration? The space on the wall above our bed was depressingly bare. Since we can’t paint in our apartment, I needed a way to add a splash of color. I came across some woven green placemats on clearance for $3 at T.J. Maxx. I figured they would come in handy for something – and I’m finally putting them to good use. 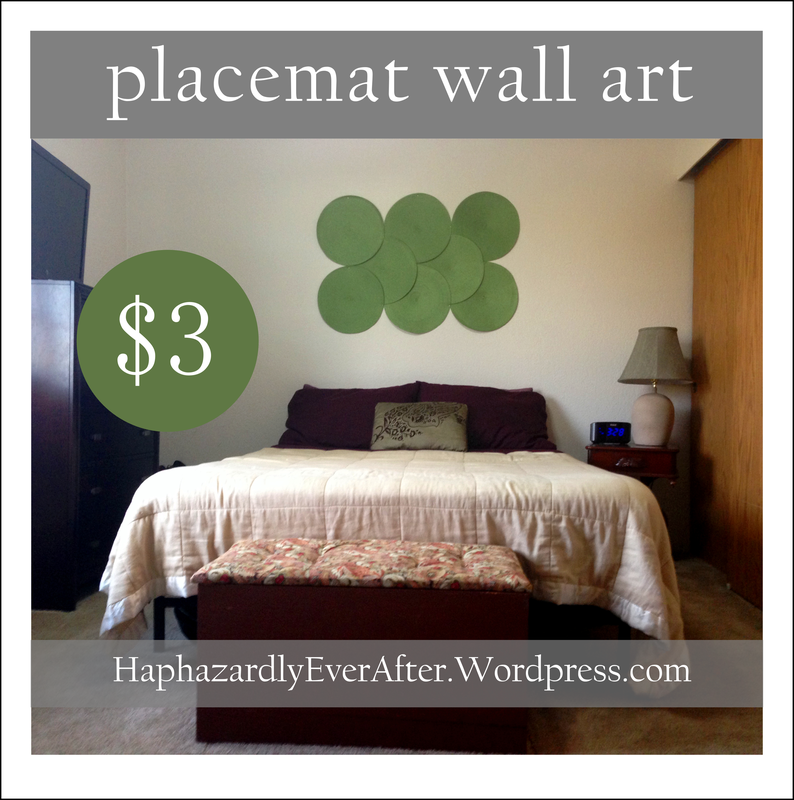 Along with my eight placemats, I used a picture hanging kit (itty-bitty nails) and a hammer to create my wall art. I set them out first, to decide how I wanted to arrange them. It could not be easier (or cheaper)! You could do this with any placemats to match your decor. I love how it brings color and texture to the room. For more apartment solutions check out 5 Ways to Thrive in an Apartment. How do you put a splash of color in your living space? You will not thrive in your apartment if you are a hoarder. Resign yourself to saying goodbye to some unnecessary items. Will you really read that novel again? Have you ever liked a recipe out of that old cookbook? Do you actually wear that shirt? Have an ongoing “To-Donate” pile and drop it off at your local thrift shop frequently. If you haven’t touched an item in a few months, then you better have a good reason for keeping it! Once you’ve whittled down your possessions to a reasonable amount, make sure you don’t buy more things to fill up the space you’ve freed. Carefully consider whether you need an item and how much space it will take before buying it. When you do buy something new, consider getting rid of something else to free more space. When you buy a new pair of shoes, get rid of the old ones you never wear any more. 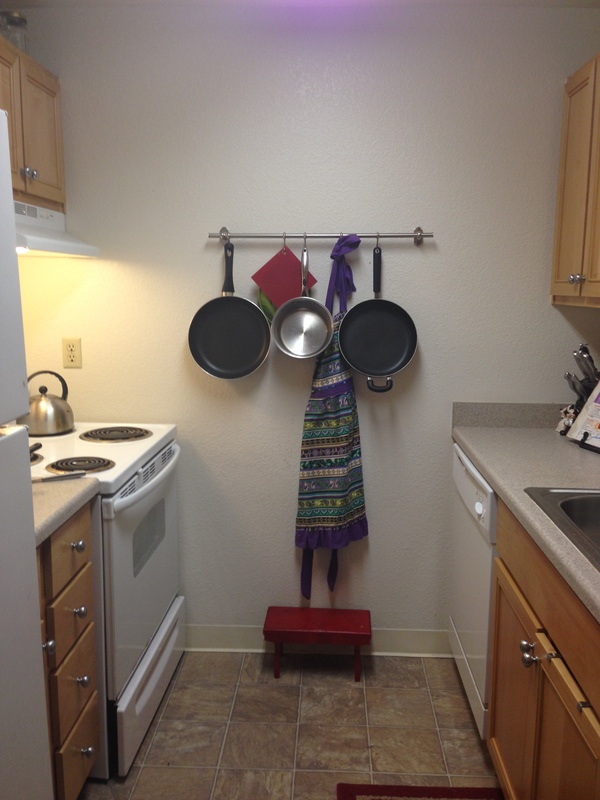 Installing an Ikea pot rack is one of the many ways we’ve gone vertical with our storage. Make it easy on yourself by finding a system that works for you. If you are not much of a folder, don’t have a closet system that requires you to fold your jeans! Have a big drawer devoted to a pile of unfolded pants. You will be much more likely to actually put them away. 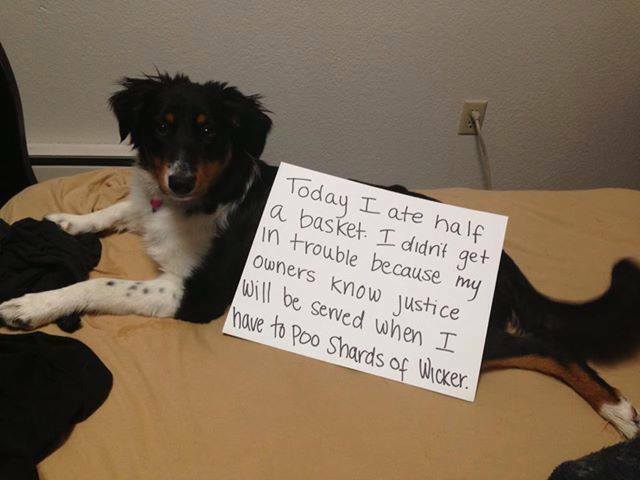 Riel’s shoes get tossed in a big wicker basket in the bedroom. His gaming stuff (headset, Skuf Controller, and various games) go in a decorative basket on top of the entertainment center. Our keys hang by the front door. These things make it even easier for us to put stuff away then it is to get it out. Think vertically when it comes to storage. Do you have space above your cupboards for extra kitchen items? Can you increase closet space by stacking bins? You can use bookshelves for more than books and put up shelves almost anywhere. 3. Make it your own. You’ll be miserable in your apartment if you are constantly reminded that it’s borrowed space. So move yourself in. Decorate. 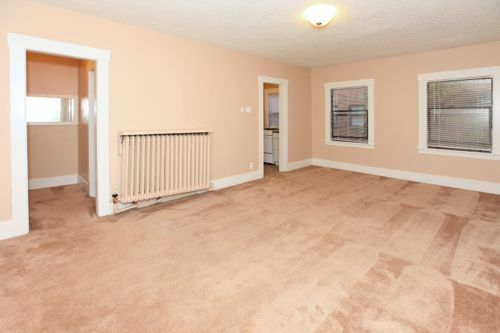 You can either throw a few posters up, or go all out with curtains, rugs, art, etc. 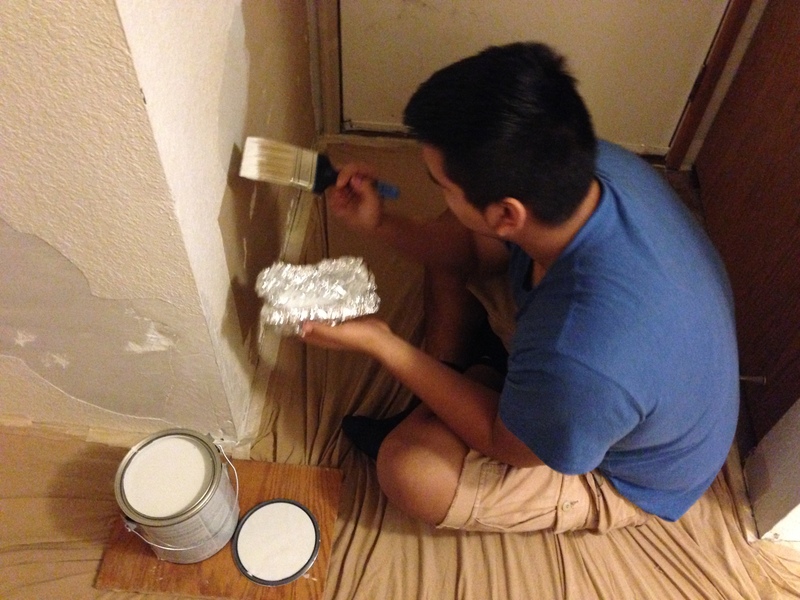 If you can paint a wall – do it! We lived in our current apartment for around 6 months before it started to feel like our home. 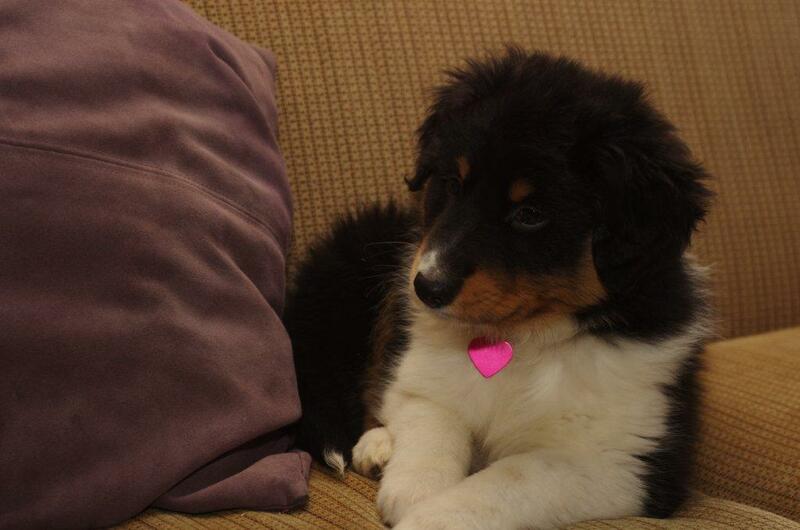 The major turning point for us was getting our Christmas puppy, Sophie. Nothing says home like a puppy that can’t wait to see you when you return from work. I highly recommend getting a pet if your apartment allows it. What do you spend your time doing at home? Make space for it. If you watch a lot of movies then you need a good entertainment set-up with comfortable seating. If you spend a lot of time writing or drawing you need an office space. If you want to have dinner parties, make sure you have a dining table that accommodates enough people. Much of the time you can divide one room into multiple spaces (Ikea has lots of great inspiration). Maybe you don’t have a dining room, but you can create a living room/dining room combo. We definitely don’t have an office, but we turned one end of the bedroom into a workspace. If you can do the things you love in your apartment it won’t seem like the walls are closing in. Get to know your neighbors. In an apartment complex you and your neighbors are bound to irritate each other. Sometimes even routine noises such as the neighbor’s television or dishwasher can seem like a huge issue. It will be easier on everyone if you are on a first-name basis and can casually mention these things to one another. And, if you are on a first-name basis the noises probably won’t annoy you as much (and vice versa, hopefully). Get to know your apartment manager. Inevitably, problems will arise at your apartment. The toilet may not be flush, or your dog may damage the carpet or drywall (like ours did). In such an event, you’ll be grateful that you already have a good relationship with your apartment manager. Just like the relationship between you and your neighbor, the apartment manager is more likely to give you the benefit of the doubt in a situation if you have already made a good impression. I spent my childhood in a house and had a hard time adjusting to apartment life. These are some of the things that have helped us to make our apartment a home. 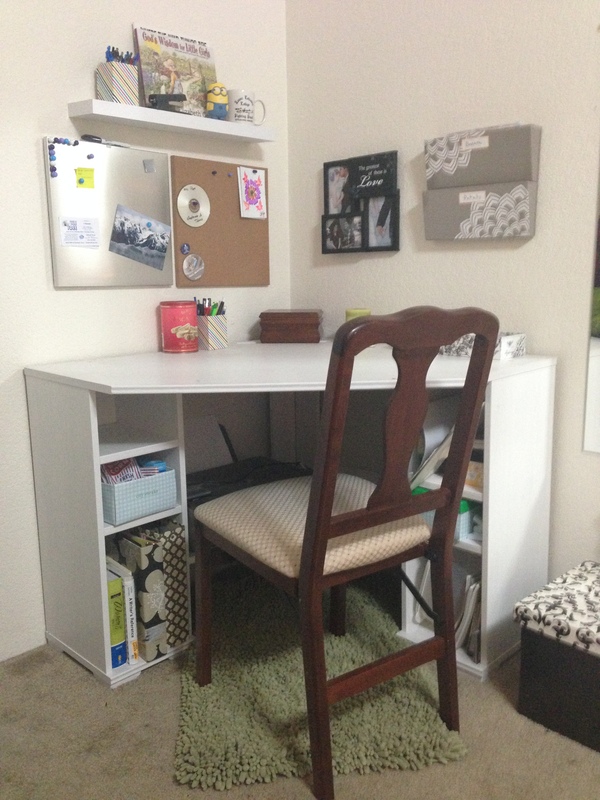 For more apartment solutions check out my Apartment Life board on Pinterest! What have you done to fit into a small apartment? When Riel carried me across the threshold of our first home, it took him four steps to cross the entire space. It was 340 square feet. There was zero counter space in the kitchen. For a while we had the microwave on the floor. I had to chop vegetables on our dining room table which was also a desk, a nightstand, and a coffee table (It was a drop leaf table, like this one). It’s a good thing we were newly-weds when we lived in our “box,” as we called it. There was no space for alone time – unless we wanted to hide in the bathroom which was almost small enough to shower while sitting on the toilet. Have you ever stormed out as a tactic during a fight? Try storming out into the bathroom. “Oh, yeah?! Well, I’m going to brush my teeth for fifteen minutes and there’s nothing you can do about it!” Stomp, stomp, stomp, SLAM. Take that. Our box was on the second floor of a very old building in a notoriously unsafe neighborhood. We couldn’t have company because there was no parking. Not to mention people thought they might be stabbed. I used to pull up to the apartment and call Riel to walk me in because he didn’t want me walking up alone. In the six months that we lived in the apartment, there were three fires. 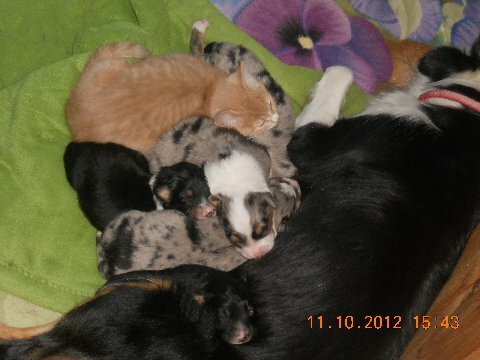 All of them were in the middle of the night. When the first fire alarm went off at 2 A.M. sometime in April, I woke up with my shoes and coat on in the hallway. Riel’s protective instincts had kicked in and he was guiding me down the stairs to the courtyard. After the first fire, it became a routine. The firemen, who promptly extinguished each fire, began to recognize us. Riel and I joked that I needed to sleep with my jeans on so that we didn’t have to choose between burning to death and going outside in my Disneyland pajama shorts. The apartment wasn’t entirely miserable. Our neighbor to the right had a fabulous singing voice. Though we never learned her name, we enjoyed listening to her through the wall. And though the kitchen was tiny, we did cook our first meals as a couple there. Tacos and fried rice were the only foods we could agree on. All in all, I’m grateful for that less-than-ideal apartment. The inexpensive rent was part of the reason we could afford to start a life together in the first place. 340 square feet of our own was infinitely better than living with mom and dad!